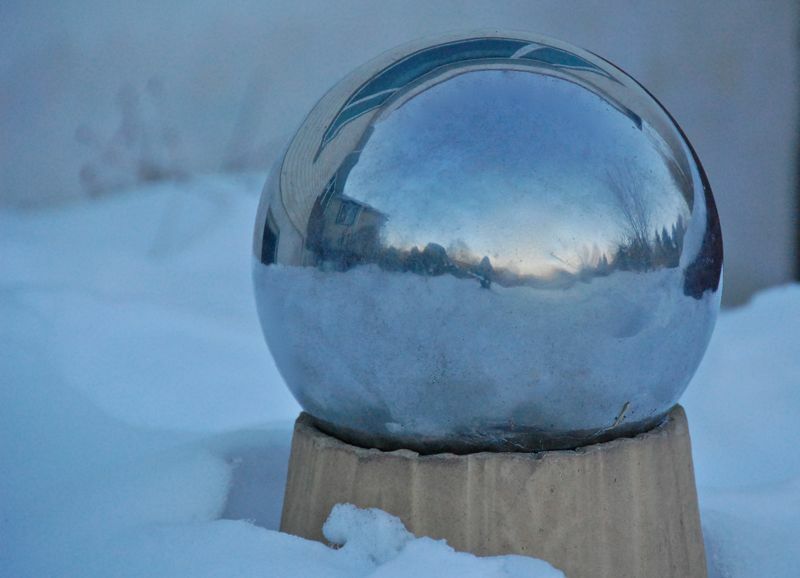 The other day as I filled the fountain with water for the birds (it has a heater and so does not freeze) and filled the bird feeders I had to walk past the gazing ball. It's made of metal and I leave it out all the time. It had been buried in the snow the last time I went by, but some of the snow has melted and the reflection made me feel like I was in a snow globe. Pixar's Knick Knack animation is one of my favorites and my reflection made me think of that desperate trapped little snowman. I'm glad I was on the outside reflecting and not trapped inside!